Padua College provides a careers counselling service to our students and their parents through both a structured career planning program conducted in Years 9 and 10, and also through individual appointments. Careers Guidance at Padua consists of our Counsellor working closely with the Vocation Education and Training Coordinator and the Teaching and Learning Team to support students to plan their pathway to work or future study. Students can be assisted with subject choices in preparation for further academic study and also with information about vocational education and training options. Through the Year 9 and 10 Personal and Life Skills Lessons students undertake a career education program. 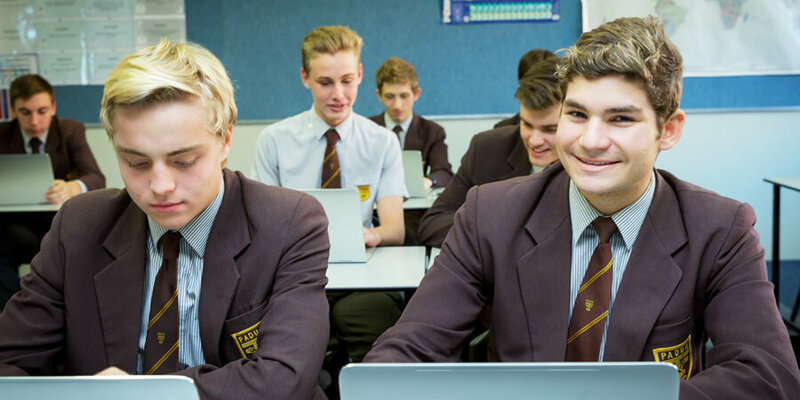 The program is designed to assist our Year 9 and 10 students to get to know themselves, their interests and their skills, to assist students with making informed career decisions before undertaking their SET (Senior Education and Training) plan. Structure student learning in Years 10, 11 and 12 around their abilities, interests and ambitions. Support students to think about their education, training and career options after Year 12. Coach students in the setting and meeting of learning goals in Years 10, 11, 12, and beyond. Include flexible and coordinated pathway options in your course of senior study. Facilitate communication between students and their parents/guardians or teachers and careers counsellors about their learning goals and post-school plans.